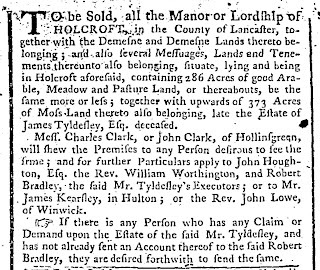 Earlier postings have noted the attempts of James Tyldesley to sell large parts of the Holcroft Hall estates. 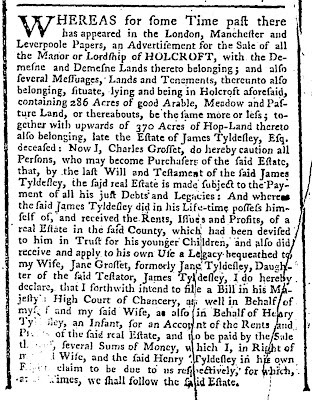 In August 1765 James Tyldesley died. 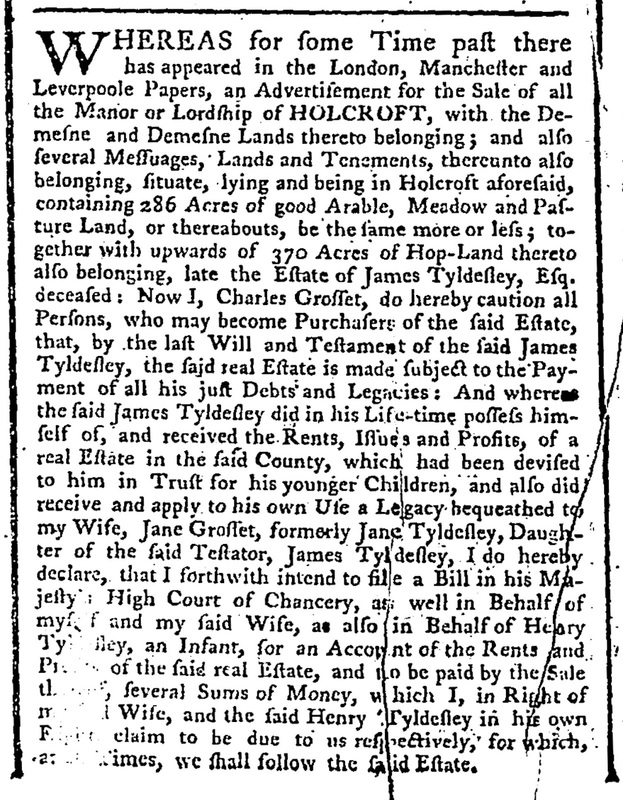 Following the subsequent death of his wife Sarah Tyldesley in September 1765, his executors moved to liquidate the entire estate. 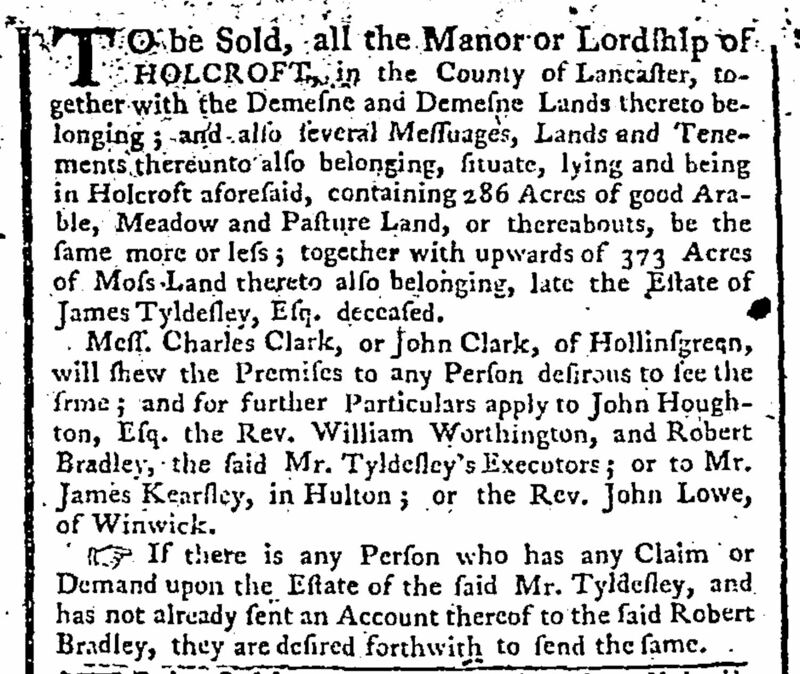 Bradley, the said Mr. Tyldesley's Executors; or to Mr.
Bradley, they are desired forthwith to send the same. also belonging, late the Estate of James Tyldesley, Esq. at all Times, we shall follow the said Estate.